This one isn't very complicated. 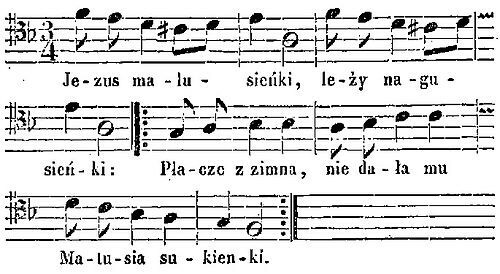 Title says "And in brewery...", and song tells a story about a guy named Maciek who is jumping around like crazy 'cause he ate a easter cake. 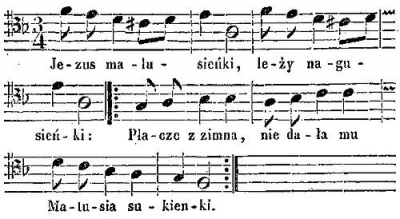 This one, called "Góralu, czy ci nie żal" (Highlander, aren't you sad) was composed to a poem written by Michał Bałucki when he were in prison. He shared a cell with a highlander who were pining for his home and mountains he left behind. He inspired him to write this. Hi Marta, thanks a lot! I have recently learned to play Aleksandra from the movie Moskva slezam ne verit. I went through a heck of a time to try to find the tune, in Russian, and I didn't succeed. Luckily, my teacher studied at conservatory in St. Petersburg and speak a bit Russian, so he eventually succeeded but only after he had been through some very dubious websites, haha!